Bugle Forklift Sales & Rentals Ltd. is proud to be your Southern Alberta source for both new and used Club Car Commercial and Utility Vehicles. 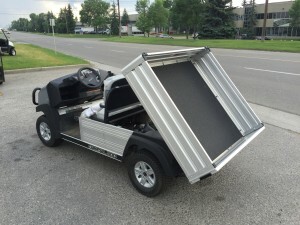 Club Car is the industry leader both on and off of the golf course. With an aluminum based construction, industry leading fuel economy, world recognized reliability and longevity Club car is the choice for your Commercial and Industrial needs.